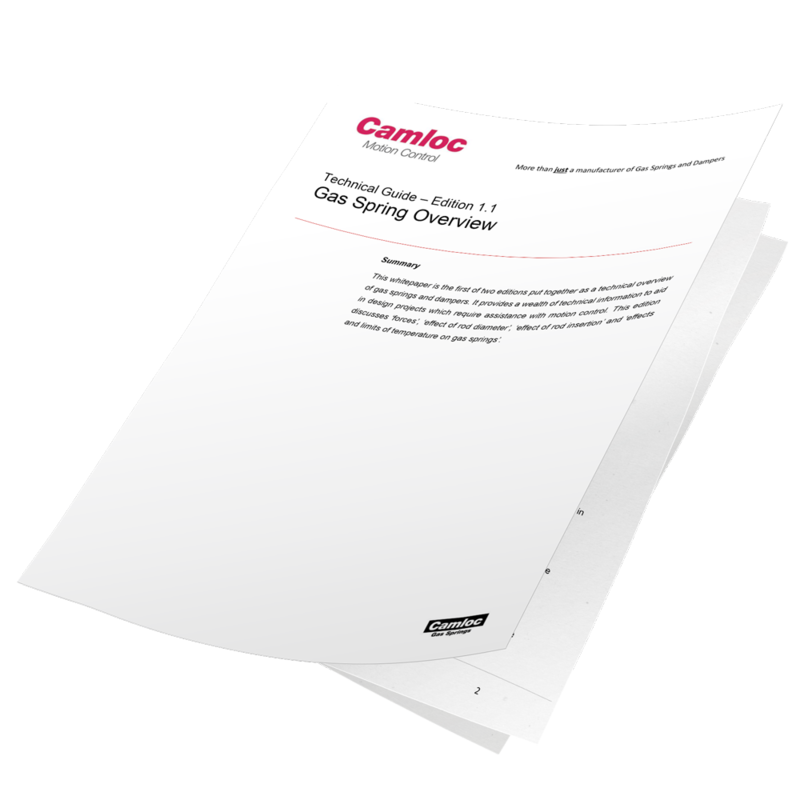 Camloc Motion Control’s Technical Guide 1.1 – Gas Spring Overview is the first in a series of whitepapers. These whitepapers provide a wealth of technical information to aid in design projects requiring assistance with motion control. This edition discusses ‘forces‘, ‘effect of rod diameter‘, ‘effect of rod insertion‘ and ‘limits of temperature on gas springs‘. At Camloc, we are more than just a manufacturer of gas spring and damper products. Visit www.camloc.com for more information. For a copy of our handy technical whitepaper, please enter your details below and we shall email you a copy shortly. Please note that after completing the form a member of our team will email you a copy of the document.